We offer two large swimming pools, both indoor and outdoor, as well as giant Hot Tubs and Sun Decks. Our Outdoor Pool offers crystal clear water and a great Sun Deck, for those days that you need to catch some rays. Enjoy the comfortable chairs setup beside the pool to keep that watchful eye on your children, while you enjoy a novel or just the great atmosphere. 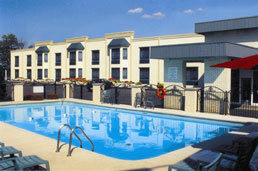 Room amenities include: Coffee Maker, Iron and Board, Hair Dryer and Free High Speed Internet.